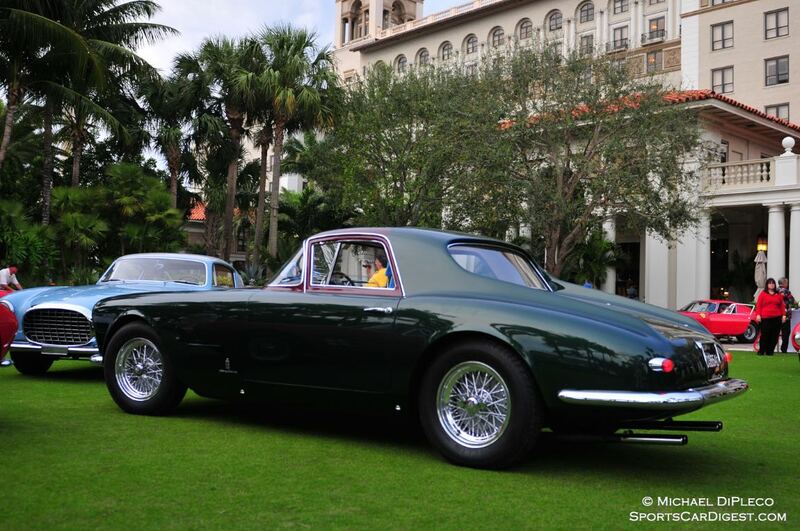 The Cavallino Classic 2015 was held January 21-25 at the Breakers Resort Hotel in Palm Beach, Florida. Celebrating its 24th anniversary in 2015, this five-day gathering for Ferrari owners and enthusiasts saw participants and their 400 exotic and classic cars attending from the United States and Europe. 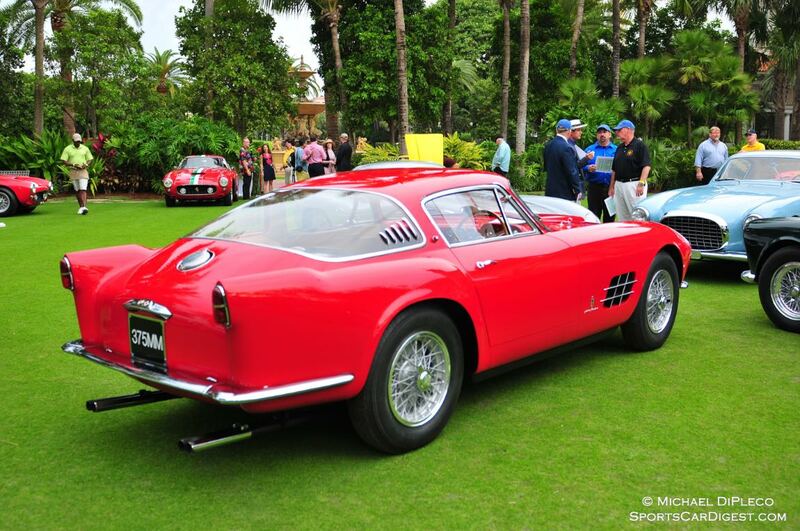 The first event of the gathering was the Cavallino Classic Competition, a two-day track meet at Palm Beach International Raceway. A select field of competition Ferraris, Maseratis, Alfa Romeos and Bugattis tackled the 11-turn, 2.043 mile race track, including a Ferrari 275 GTB Competizione Speciale; Ferrari 250 GTO 3705GT; Ferrari 250 GTO 3445GT; Ferrari 250 GT SWB Berlinetta 2729GT; Ferrari 250 Testa Rossa 0756TR; Ferrari 250 Testa Rossa 0748TR; Ferrari 290 MM 0616; Maserati 300S 3072; a pair of Alfa Romeo Tipo C 8C-35 models and a great selection of Bugatti Type 35 and 37s; among many others. 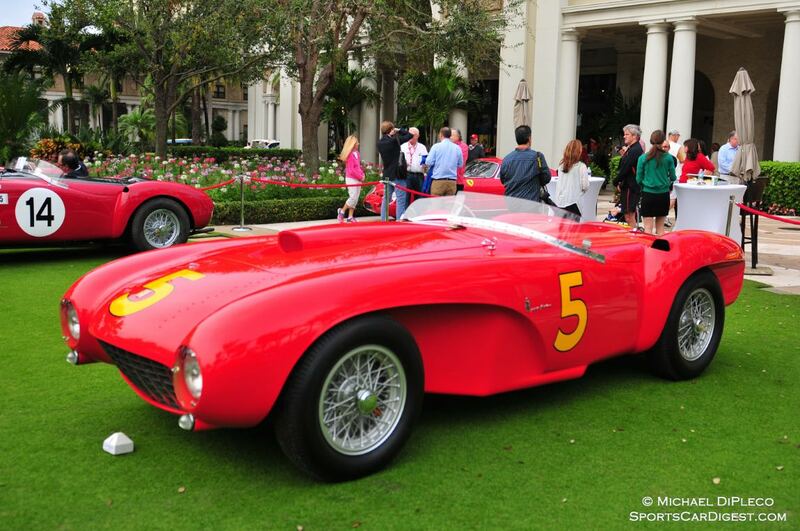 The high point of the Cavallino Classic is the Concorso d’Eleganza on the front lawn of the Breakers Resort Hotel, on Saturday, January 24, 2015. 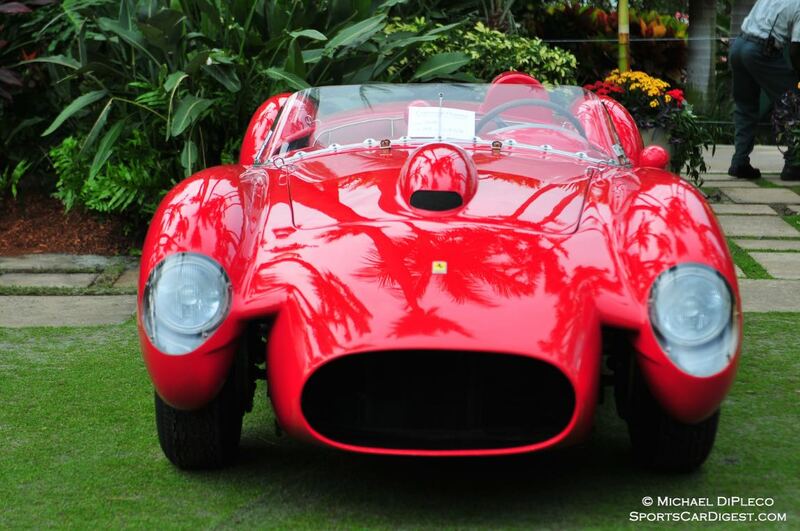 A field of 150 Ferrari automobiles were judged for originality and elegance, vying for Class Awards and the important Major Cups, along with the Cavallino Cup for Best in Show. This year’s event feature the 60th Anniversary of the Era of the 375, with special classes for the Berlinetta, Spider, Coupe, Speciale, America and Plus variants. 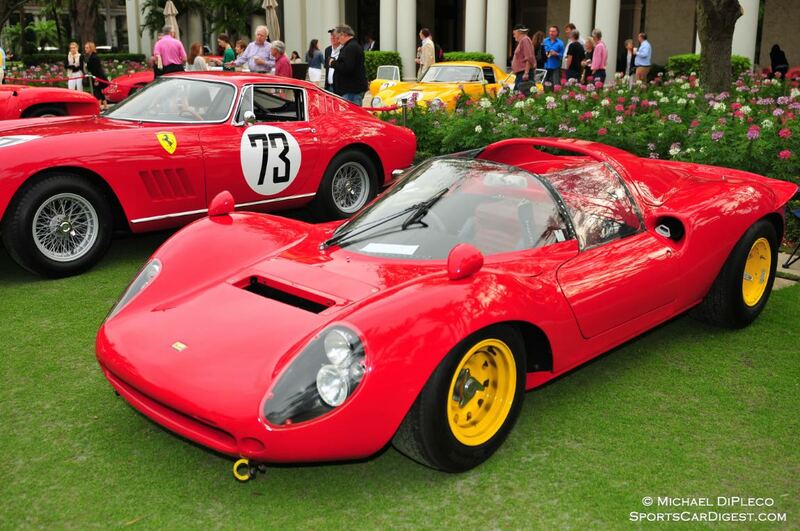 Best of Show Competition at the Cavallino Classic 2015 was awarded to the 1965 Ferrari 166 P / 206 SP Dino 0834, while the Best of Show Gran Turismo Ferrari award was given to the 1955 Ferrari 250 Europa GT Coupe by Vignale 0359GT. 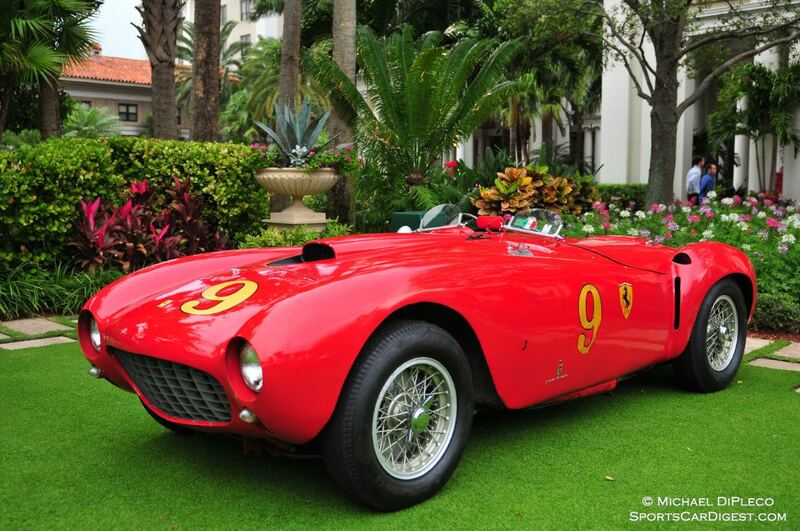 Similar to 2014, photographer Michael DiPleco also documented the Palm Beach Cavallino Classic 2015, offering the following pictures of the Ferraris celebrated at Palm Beach Raceway and the lawns of the Breaker Hotel. We split up Michael’s pictures into two galleries. The first gallery starting below features our favorite images, all displayed in the full-width view of Sports Car Digest, while the second gallery and event results can be found on the last page of the article and gives a comprehensive view of all the 287 photographs. 1955 Ferrari 375 America PF Coupe Serial No. 0355 AL. 1953 Ferrari 375 MM PF Spider. Serial No. 0382 AM. 1958 Ferrari 250 Testa Rossa Serial No. 0756 TR. Disappointingly there was no photo coverage of the event on Sunday at Mar-a-Lago. 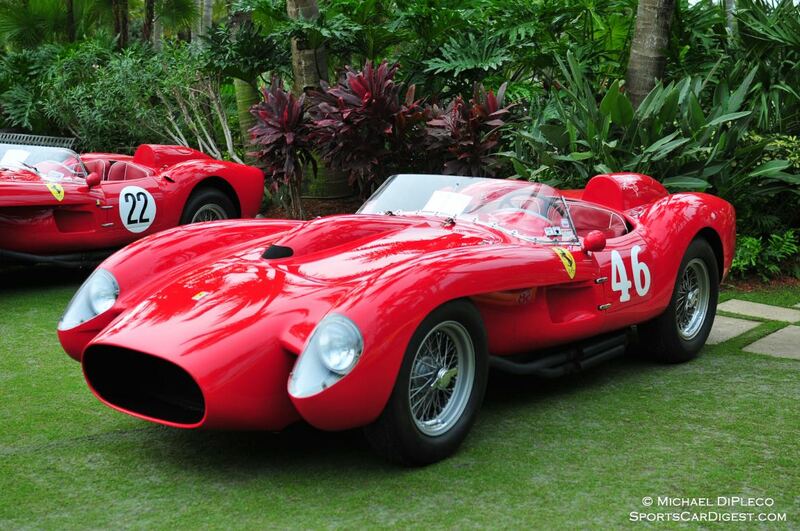 As one who attended all the Cavallino events, I think this coverage is partial and incomplete in my opinion. Completely agree. Not even the cars that won awards. Very disappointing. 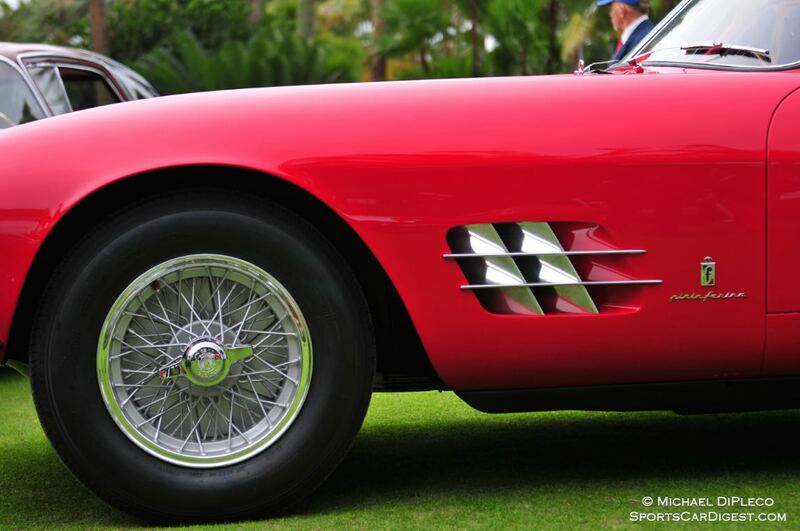 Fantastic cars, stunningly portrayed by an outstanding excellent photographer. Thank you for allowing us to enjoy these. On Page 4 and 9, the PreWar Alfa (with headlights) is called out as Alfa P3 #5005 but in reality that is an Alfa Romeo Monza. The other Alfa P3 photos are correct. Also, great photo on page 4 of the Ferrari 375 MM Scaglietti with the owner standing next to it. Nice timing.